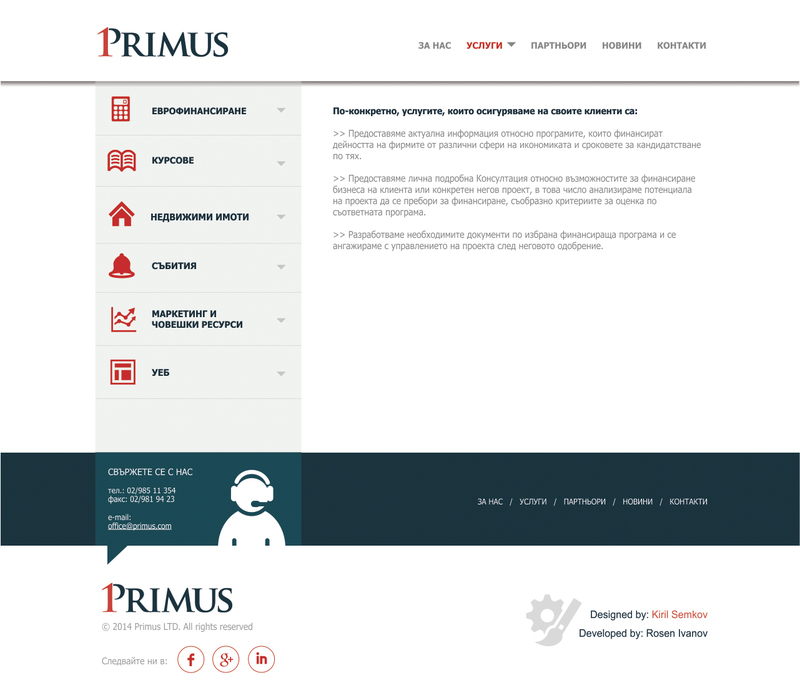 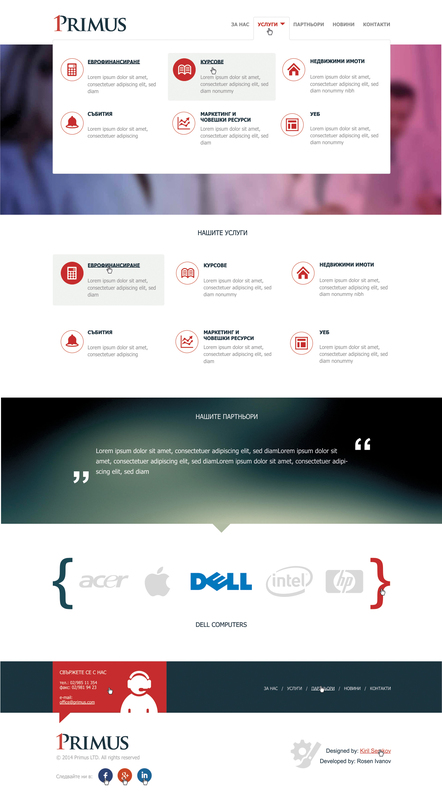 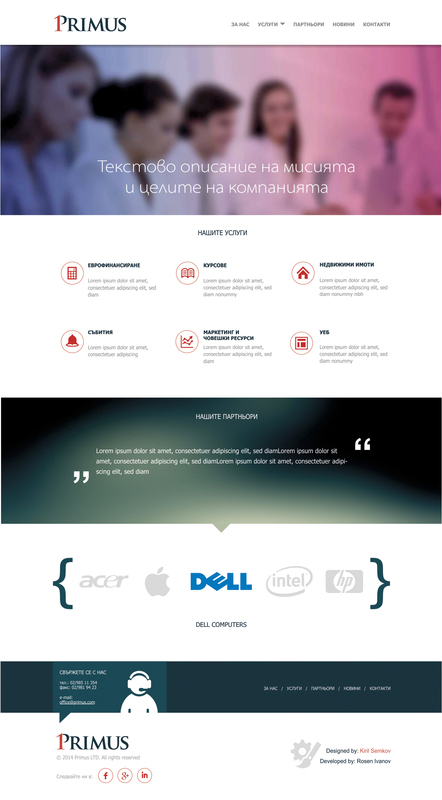 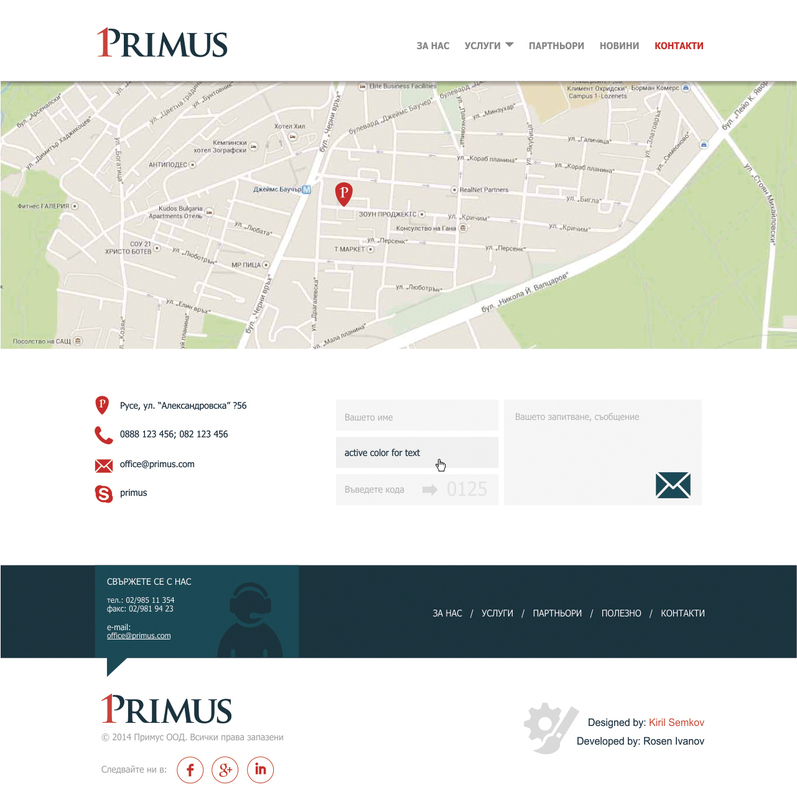 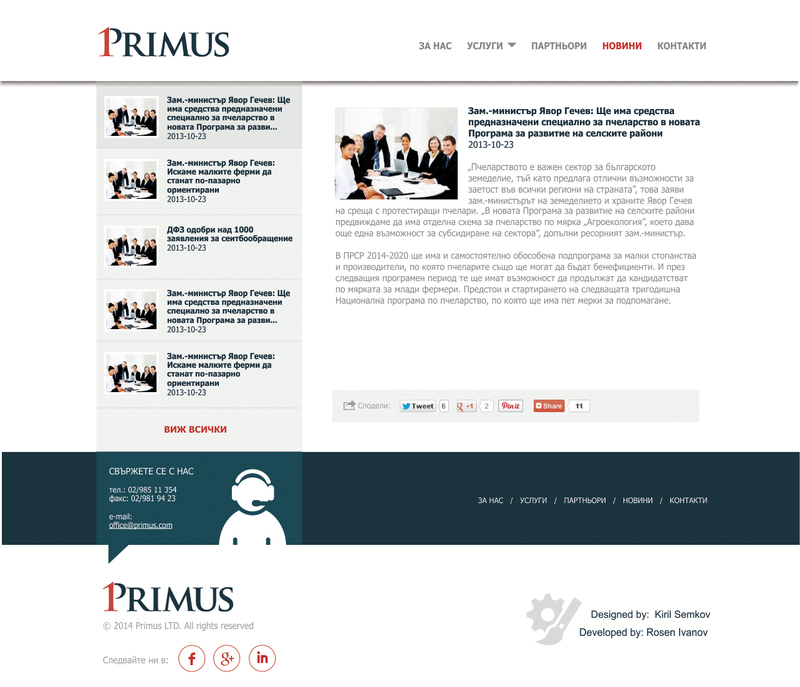 A design made with Rosen Ivanov for the starting company Primus. 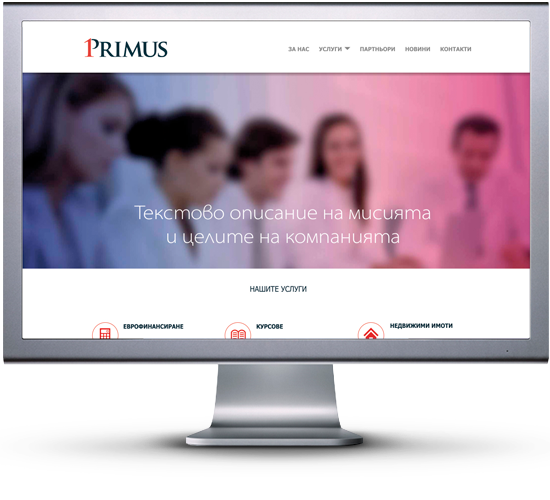 Their fields of activity are: euro projects, real estate, marketing, human resources and different kind of events an courses. 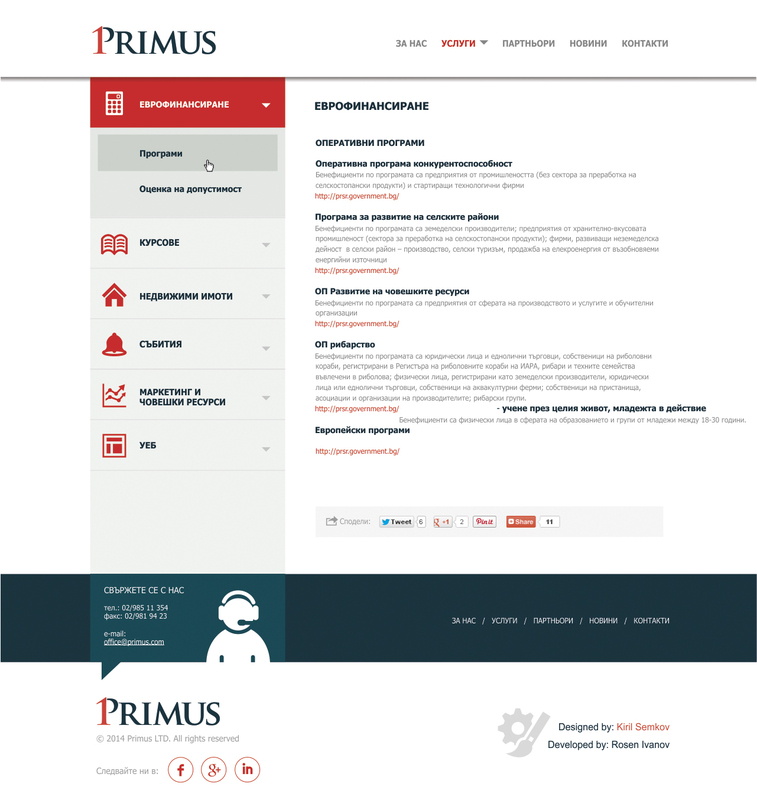 There site is still being developed.